Same day courier and logistics chain Diamond Logistics Ltd has announced that it has “dramatically” expanded its franchise network of late with seven new depot openings in the last six weeks. Said to be “on track for national coverage”, the franchise’s recent openings include Slough, Lichfield and Bolton, with outlets in Coventry and Northampton set to launch shortly. 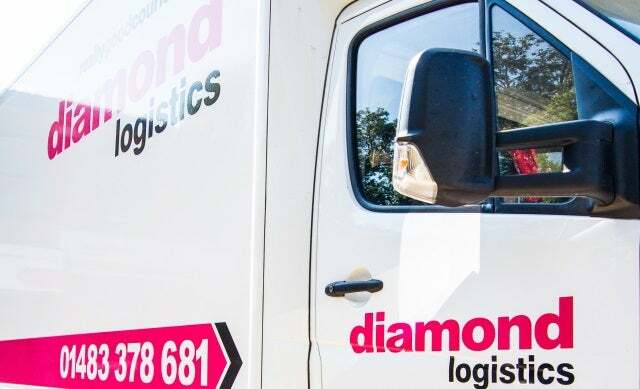 Founded in 1992 but only recently established as a franchise in 2012, Diamond Logistics provides specialist delivery and fulfilment solutions and works with a range of clients such as small and medium businesses, blue-chip companies, and local government and healthcare providers. Having scaled to 16 franchise outlets, including East London, Southampton and Birmingham, the Guildford-based logistics firm claims to be “one of the UK’s fastest growing franchise networks” and intends to expand further with a target of 40 depots by mid-2015. It has franchise packages ranging from £15,000 to £25,000 and says that prospective franchisees can expect good earning potential with its initial franchisees already earning in excess of £40,000 and £50,000 per month. Diamond Logistics founder and CEO, Kate Lester, said of the news: “It’s brilliant that the Diamond network is expanding so well. This is a testament to the Diamond team, and our franchisees who are all doing such a terrific job. “Diamond has have removed all the hard bits of this kind of franchise – and left just the profitable, high value activities.